MUNICH -- Germany is wrestling over the future of the diesel, with proposals for driving bans in some cities to reduce air pollution clashing with an industry that employs scores of workers. With some urban areas failing European Union air-quality standards, Munich, Stuttgart and Hamburg are among big cities in the country considering restricting older diesels. Carmakers are lobbying instead for fixes to engines, which could affect as many as 13 million diesels. Weighing in with their own views are state and federal authorities -- as well as German courts. Local courts, which are considering various complaints about excessive emissions, are taking action to compel cities to enact driving bans as limits on pollution are breached. "The cost of treating diesel exhaust is simply too high and carmakers have lost a lot of credibility in the debate about when it's acceptable to reduce emissions controls," said Ferdinand Dudenhoeffer, an automotive analyst at the University of Duisburg-Essen's Center for Automotive Research. "Diesel is over and it's time to switch to new technologies." Diesel bans threaten to upend an industry already challenged by the costs of developing electric vehicles, with BMW CEO Harald Krueger saying the shift isn't possible without fuel-efficient diesel engines as part of an interim step. In particular, diesel technology plays a major role in Germany, where the models accounted for about 46 percent of sales last year. It also means thousands of jobs. At Robert Bosch, the world's biggest car-parts supplier, about 50,000 positions are linked to diesel, with many more at Volkswagen Group and other automakers. With that in mind and a federal election just over two months away, German Transport Minister Alexander Dobrindt has come out against bans, saying they are an ineffective tool for reducing pollution. Dobrindt has organized a gathering of government and industry executives on Aug. 2 to consider options for updating older diesels. There are some signs that the embattled technology -- under fire since Volkswagen's emissions cheating became public two years ago -- may get a bit of a reprieve. 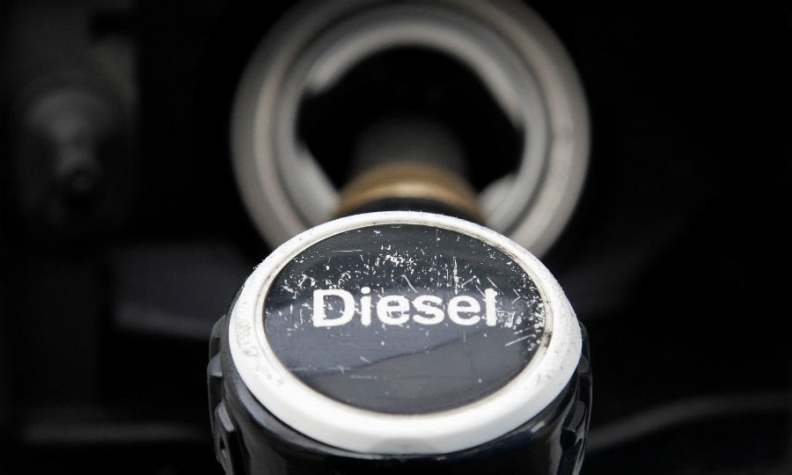 Stuttgart, which is looking at possible diesel bans beginning already next January, says it would prefer automakers upgrade so-called Euro 5 diesel cars that were still on sale as recently as two years ago. But such changes must come within the next two years to help bring down pollution, according to a state transport ministry spokesman. "Driving bans can only be a means of last resort because they limit the mobility of people," Hubertus Heil -- general secretary of the Social Democrats, Chancellor Angela Merkel's junior coalition partner -- said on Monday in Berlin. "The solution must be to organize mobility in Germany in another way. So it is good that all parties involved sit down together and develop a concept for the future." On Tuesday, the state government of Bavaria -- where BMW and Audi are based -- said it agreed to a voluntary recall with carmakers in an effort to avoid diesel bans in its cities, of which Munich is the biggest. Baden-Wuerttemberg, which includes Daimler's home city of Stuttgart, indicated it would be open to a similar solution. Even as politicians get behind fixes, there's the risk of court-ordered restrictions. On Wednesday, Stuttgart's administrative court will hold a public hearing on a complaint seeking to ban all diesel cars from driving into the city. Stuttgart is built in a valley and has for many years failed air pollution tests. In Munich, a court in March compelled the city to prepare diesel bans to bring down levels of cancer-causing nitrogen oxide of which diesel cars are a major source. Last year, the Transport Ministry prodded manufacturers including VW, Audi and Mercedes-Benz to recall 630,000 cars that pushed the limits of emissions regulations. As many as 13 million cars could be affected by additional fixes being considered, with the industry arguing the figure is far lower. How that would work and who will pay for it will be discussed at the task force meeting on Aug. 2. BMW and Audi said last month more than 50 percent of their Euro-5 diesel cars could be upgraded. "We see good prospects to find a federal solution to upgrade Euro-5 diesel cars," said Michael Rebstock, a BMW spokesman. "BMW will bear the cost of such an upgrade."